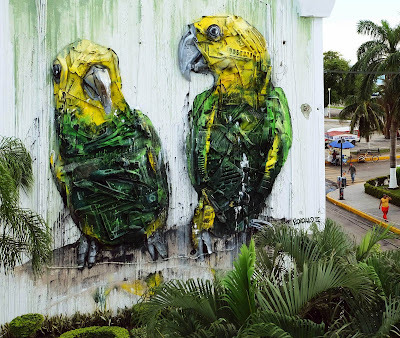 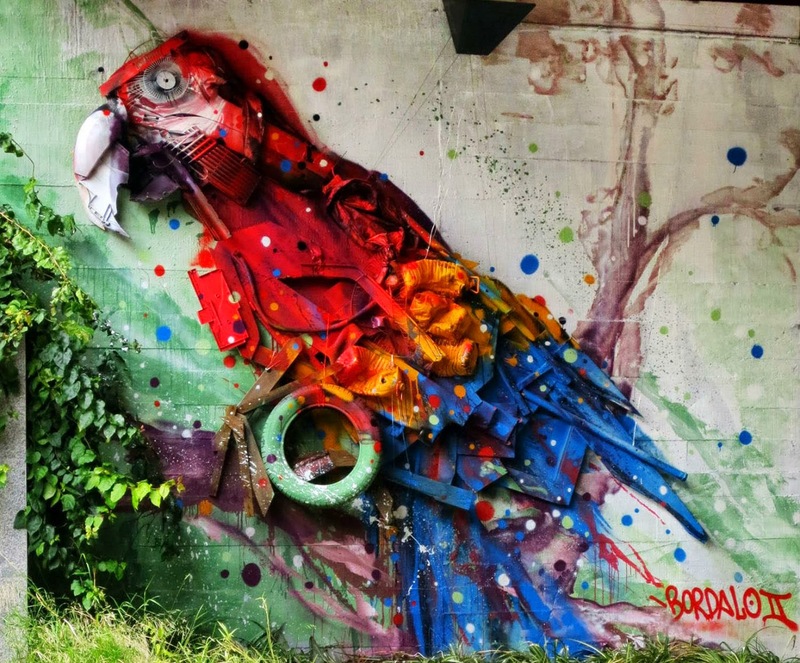 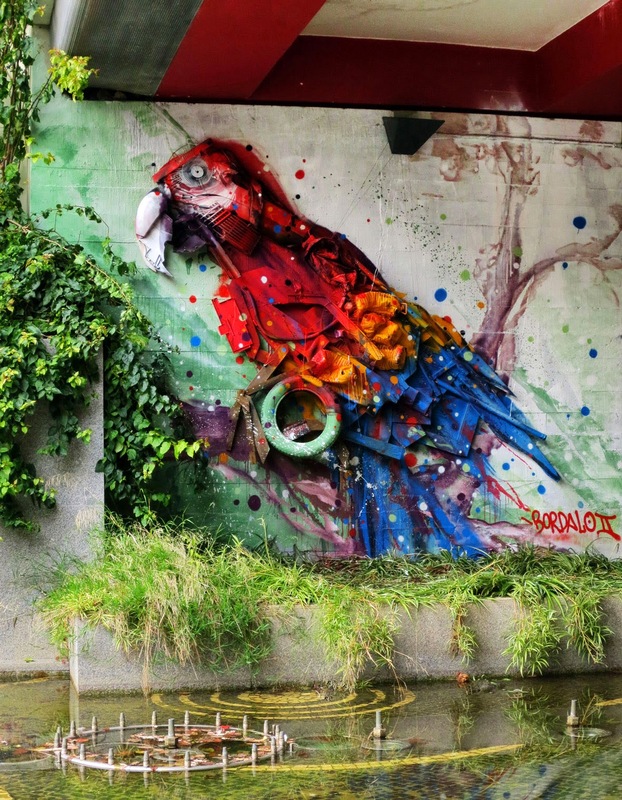 "Born in Lisbon in 1987, Artur Bordalo aka Bordalo II grew up watching his grandfather, Real Bordalo, painting the city of Lisbon. Bordalo II presents us a figurative painting full of vivacity and movement, where he paints his own interpretation of urban landscapes and city entertainment. 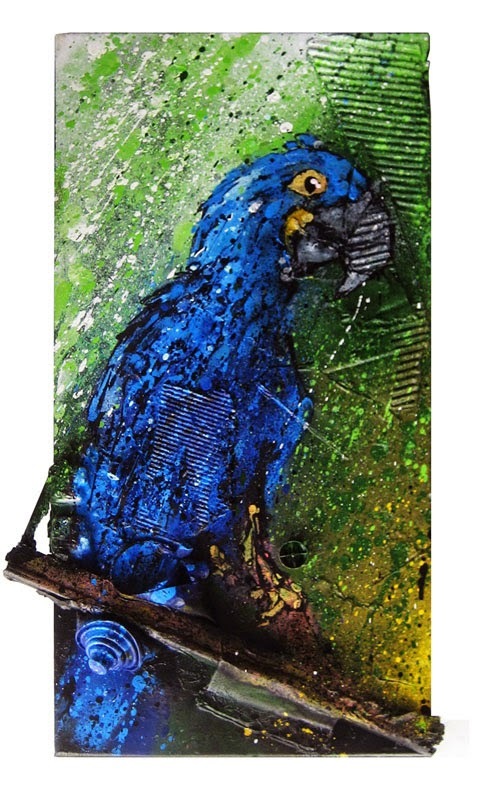 He’s exploring his own mixed media on wood stand base, and are thus made a series of collages of objects (garbage). 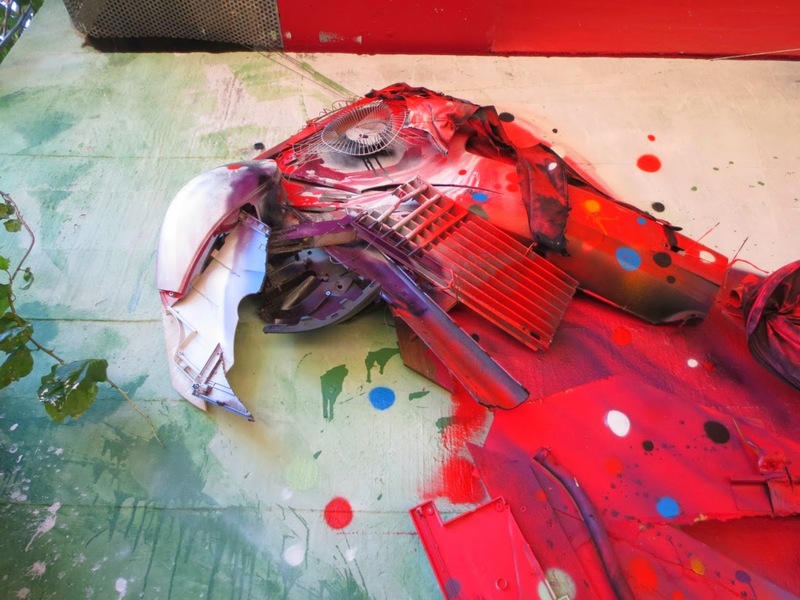 It is not only a way to recycle, but also a critique of the world we live in, where we often have nice things, which are based on junk without realizing it."